PAPA International recommends the following providers of quality products and services for our members. The companies have been selected on the basis of the appropriateness for use in aerial photography, quality, price and service. PAPA Members are encouraged to let other members know about their experiences with the tools of our trade. Aerial Photography equipment is expensive and buying the wrong product can spoil your bottom line. Before you buy, check out the PAPA equipment reviews and through e-mail links ask our members who use the equipment why they like it. 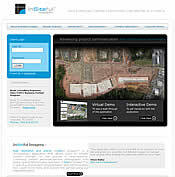 Links directly to the manufacturers also bring you complete information on the products. The HP large-format printers are a good investment for your studio. Grow your business with convenient printing that lets you work and print wherever you are. Many PAPA members say: "It's like printing money!" 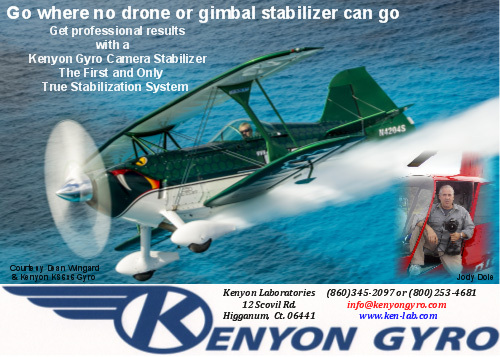 Engineered and built for demanding field conditions, Kenyon Gyro Stabilizers are, in the manufacturer's words, the invisible tripod of countless uses. Aerial photographers will appreciate slower shutter speeds with long lenses in low light situations and in rough air. Stabilization equipment is not inexpensive, but your image, both photographic and professional, is well worth the investment. Verifly Insurance Services, Inc. is licensed as an insurance producer, and the insurance products on this website/app are available for sale and distribution, in these states. If you are not flying your drone in one of these states, this website/app is not intended to solicit, market, sell or distribute any insurance products to you or to conduct insurance business in any way in your jurisdiction. The insurance products may only be purchased through the app and are subject to the terms and provisions of the actual insurance policy; any other information provided on the website/app or through email is for information purposes only. Manufacturer of custom made aircraft covers for airplanes, jets and helicopters. PAPA Members with their own aircraft should consider canopy covers to help reduce damage to their airplane's upholstery and avionics caused by excessive heat. These covers can also eliminate problems caused by leaky door and window seals. They keep the windshield and window surfaces clean and help prevent vandalism and theft. Each canopy cover is custom sewn and trimmed in the colors of the airplane. A duffle bag is also provided. The airplane's registration number can be embroidered onto both sides of the cover. PAPA members enjoy great savings and special discount pricing! Turn your oblique and vertical aerial photographs into a custom geospatial solution for your clients. Whether it is construction progress monitoring, infrastructure inspection, precision agriculture, or natural resources assessment, why not offer a total on-line analytical solution to the “site assessor” client? This is your own, branded custom web-map solution, both desktop and mobile, at an affordable monthly subscription with no long-term contracts. Call Chuck at 704-622-3306 for an on-line demonstration and to answer questions you may have. 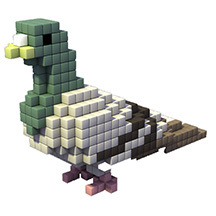 Digital Pigeon is a media delivery and proofing service for creative professionals. With faster and more reliable uploads, advanced file management and mobile and desktop apps. With options for custom branding and on-the-go web previews, it makes it easy to present your work in the style it deserves to really make an impression. Using bank-grade security to ensure your files are safe, while automatic notifications and detailed viewing reports help you save time, avoid deadline risk, and complete work with fewer revisions. Phase One Industrial, a division of Phase One A/S, the world’s leading medium format camera maker, has recently expanded its offerings to include the world’s most complete line of integrated medium format aerial cameras and software. Ranging from 50 to 80 megapixels, they offer a wide range of features including high resolution, optional FMC and GPS/IMU compatibility. Phase One Industrial continues to introduce new and innovative products for the aerial photogrammetry markets which are purpose-built to meet the exacting needs of aerial photography and streamline capture and processing. 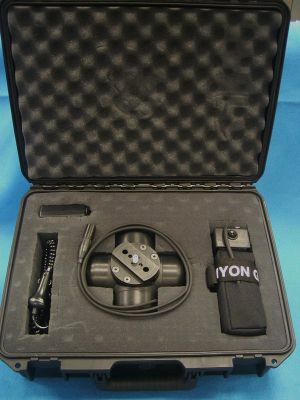 Eagle360 is a belly mounted aircraft pod that holds up to 5 GoPro Hero3+ cameras, and comes with a FAA Supplemental Type Certificate (STC) that covers 56 aircraft types: now you can affordably shoot terrific, safe, vibration-free commercial quality video. For over 37 years, Logix has successfully implemented a wide variety of color-managed digital imaging systems for both large and small photography studios, sport and event photographers. Our product line includes Kodak, Epson, Xerox, X-Rite, LaCie, Inkpress papers, Sawgrass sublimation systems, PremierArt coatings, and many more. Logix and John Massman have been a friend of PAPA since 2004! ProAerialVideo.com is the world's largest resource dedicated exclusively to collecting, cataloguing, displaying and selling stock aerial footage. Created through a collaboration of an international consortium of aerial videographers, this growing library specializes in aerial footage of city skylines, recognizable landmarks and diverse landscapes from around the world. ProAerialVideo.com also works with our network of aerial videographers to provide the highest quality custom aerial video around the world. We understand the Aerial Photographers needs! Aviation Marine helps aircraft owners obtain aviation insurance at the best price and with the right coverage. We've done so since 1978. Most of our aircraft insurance agents are also pilots. We know how important it is for you to know that you have the right aircraft coverage at the right price. We service a wide range of aviation operations, from classic Bonanzas to charted Gulfstreams to firefighting helicopters. Aviation Marine can obtain both personal and commercial aircraft insurance coverage. Aviation Marine works with multiple national aviation insurance carriers. As such, we can provide you with multiple competing quotes. Contact us today to see how easy obtaining the process can be. From trade show and event graphics, finished photographic art, indoor and outdoor signage, to retail and point of purchase displays, Riot Creative Imaging provides high quality print solutions so our customers can focus on what they do best. Riot color experts use the most sophisticated equipment, apply the latest technologies and techniques, and have an eye for just what you're looking for. We are printers. And technicians. And designers. And installers. But for everyone at Riot, color communication is our passion. Since the company’s inception in 1991, Applanix has set the standard for position and orientation technology in land, marine, and airborne applications worldwide. 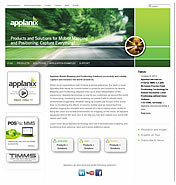 Based in Richmond Hill, Ontario, Canada Applanix develops and manufactures a line of Intertial Navigation System products. The company's Position and Orientation Systems (POS) are used worldwide for a variety of applications such as, aerial survey and mapping, remote sensing, road profiling, GIS data acquisition, and hydrographic surveying. Coda is a supplier of mounting and laminating equipment and supplies with over 50 years of experience in the finishing field. Coda offers production and table-top laminators, pressure sensitive mountboards, laminating films, cutters, and trimmers. Coda’s Display Mounts are a favorite for photographers who produce finished mounted pieces for their clients to be used for trade shows, corporate lobby displays, and more. The Coda finished display mount is ready to hang, lightweight and durable for any image and comes in a variety of standard sizes and panoramic dimensions. Shutterfly, long known as a user friendly printing service with exceptionally high customer service and producer of quality printing of photos and photo products, is also a friend to PAPA. Look into the Shutterfly Pro Gallery to host your STOCK & CLIENTS' photos and easily sell prints, digital files and photo products online. Spyder3Studio offers you the right tools for the right job and a new level of accuracy and control for all your color management needs. It’s the cornerstone of any digital darkroom bringing you easy to use, full-featured, photographer oriented solutions for your digital workflow. With solutions from RAW Camera calibration to quick and easy custom ICC printer profiles you’ll get real-world colors you can rely on. From start to finish, spyder3Studio SR brings you results professional studios require and ease of use serious photographer’s demand. Did you know… Loss of logbooks by fire, theft or simply misplacing them, could result in significant loss to the value of your aircraft that even insurance won’t cover. AircraftLogs.com is an aircraft management system providing complete recordkeeping services for corporate and private aircraft owners and operators. AircraftLogs will provide individual PAPA members with a complete and secure aircraft management program including online logbooks and flight records, expense management, maintenance tracking, reporting tools and more. For more information visit AircraftLogs.com and call 888-359-5647. New Tech Services is a dealer for many products of special interest to aerial Photographers, including aircraft, aerial cameras and support equipment. "TopoFlight" - The Standard in 3D Flight Planning. Version 7.0 is available now. Please visit the updated Website: www.TopoFlight.com to get information about the new TopoFlight Products: TopoFlight WebViewer and TopoFlight Navigator. The TopoFlight CamCulator can be downloaded Free of Charge. Hasselblad has a tradition of designing camera solutions that provide uncompromising image quality to the professional photography marketplace. 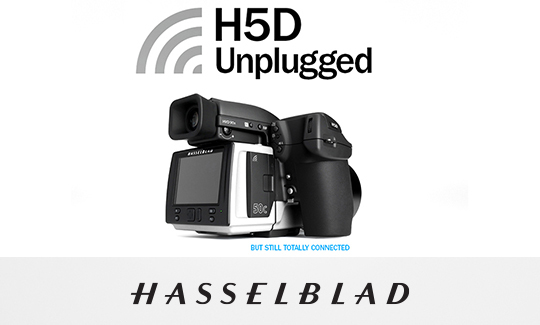 Hasselblad's Special Applications Group has been successful in the development of customized solutions for a variety of unique and specialized markets. This group continues to leverage Hasselblad's world-class technology into the development of superior camera systems to fit the needs of a variety of applications, including the demanding requirements of those in the aerial photography market. Stockpile Reports is an image based 3D reconstruction company use ground and aerial based imagery to compute stockpile volumes for various clients. 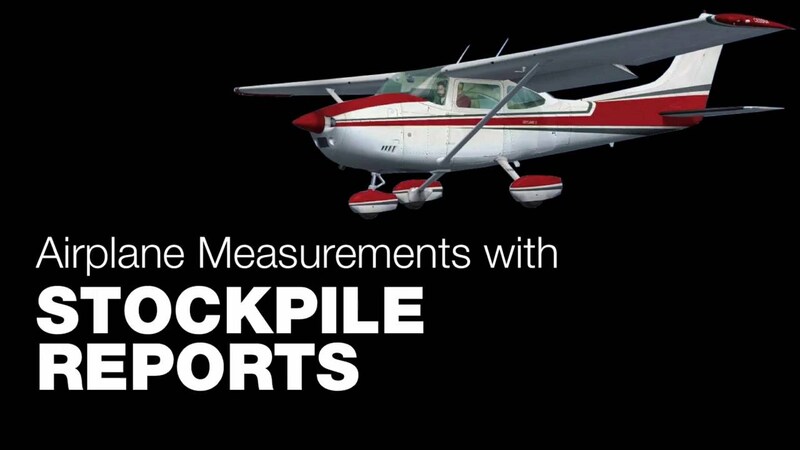 Stockpile Reports has a patented software that can calculate fast, accurate stockpile measurements using data collected by airplane or drone. Many PAPA members work with Stockpile Reports providing aerial imagery at various locations in the US and Canada.